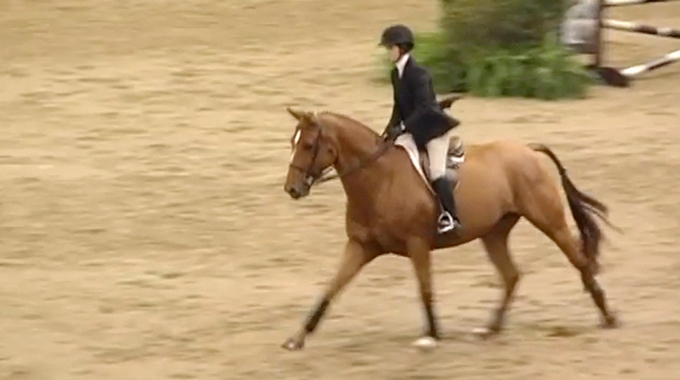 I have an IHSA rider with issues at the canter. We’ve practiced “no-stirrup November” this fall (the stirrups hung on the wall, not on the saddles). Her issue is that she bounces at the canter rather than moving her hips with the motion of the horse, even without stirrups. No trouble with posting or sitting the trot, it’s only the canter. 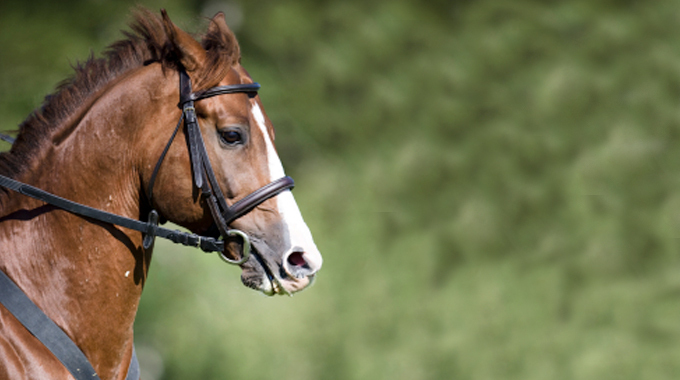 She’s an advanced walk/trot/canter rider who came in as a beginner walk/trot/canter rider. Any ideas on how to get her to support with her abdominal muscles and relax her hips? The best exercise I know for this not only having the rider practice riding without stirrups on their own but also lunging them without stirrups as often as possible. It was a staple of mine as a young boy with pony club and again riding on the team with Bert D’ Nemethy. Bert would even lunge the Olympic riders, Bill Steinkraus, George Morris, Hugh Wiley, and Frank Chapot when they came to train. 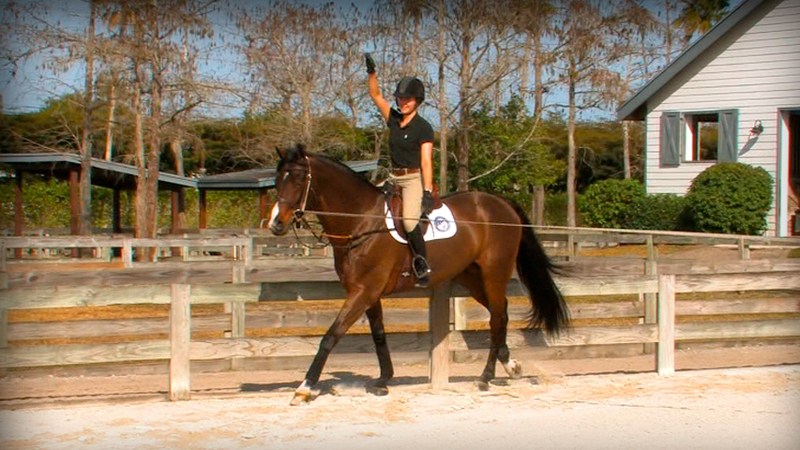 One of the best places to focus on the rider is on the lunge line. This video includes and intro by Bernie Traurig who is a big believer in this exercise. 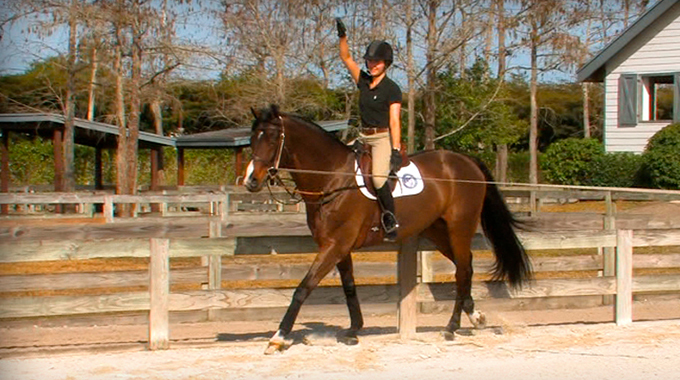 Val Renihan explains the many benefits that are achieved with this type of lesson, including enhancing the rider’s feel, strength and flexibility. 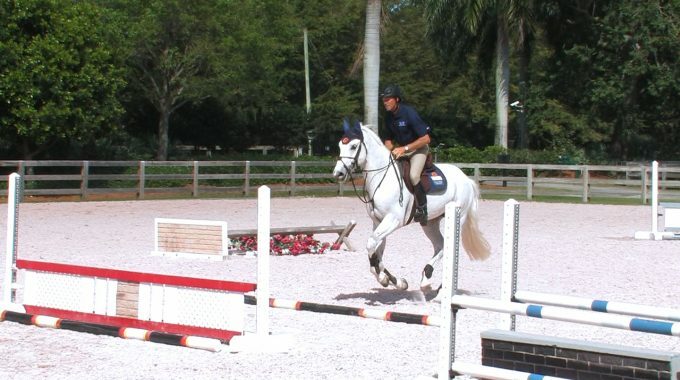 She incorporates different exercises that increase the rider’s stability in the tack, encourage the independence of the arms and seat, and build suppleness and core strength. Denny Emerson discusses the importance of a seat that can absorb the concussion of the horse’s gaits, where the core of the rider’s body becomes one with the horse. With his demonstration riders, he illustrates how a rider can become a better shock absorbing machine with exercises to develop an independent seat.